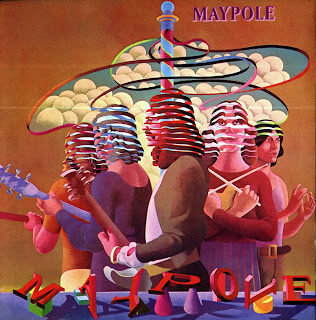 The Story of Maypole was about freedom, people being natural, true to themselves and the others around them. We told the truth about things and what we saw. The beauty, the ugliness, the injustice, of the times.The plight of hungry hearts on their journey seeking to find true happiness. 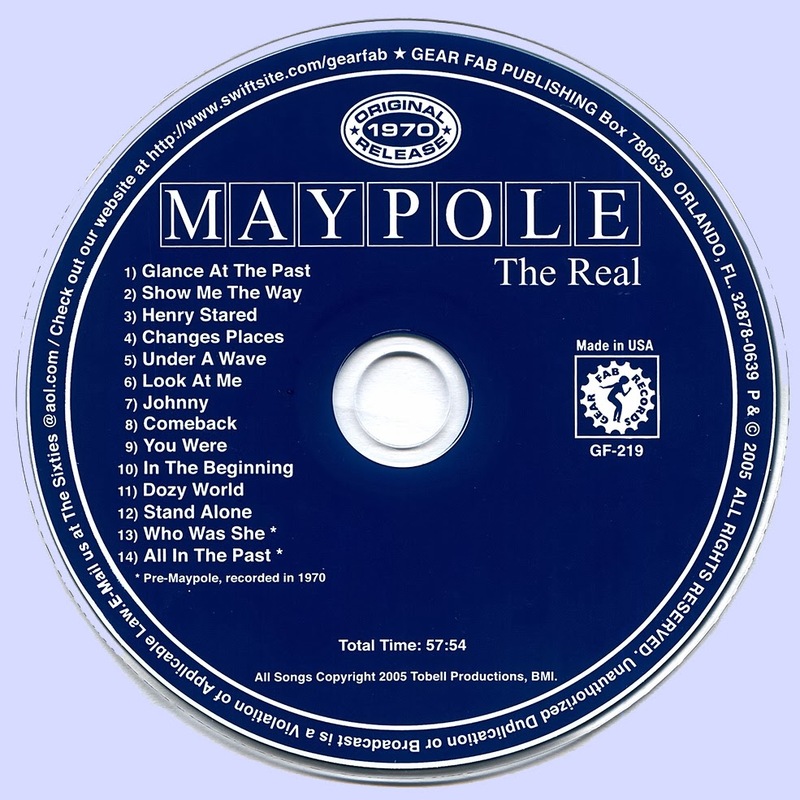 Maypole was not a typical group. Our approach was artistic and on a spiritual level. Demian's guitar style has been compared to Jimi Hendrix,Frank Marino, and Carlos Santana. The reality is, that Demian was playing just as long as the afore mentioned players. His influences were what was going on around him. The hardships of his early life made him sensitive and thoughtful about life.He was run over by a bus in Baltimore when he was just 4 years old and suffered severe injuries. Long rehabilitation helped to build his concentration, endurance and his character. His ability to make his guitar sound in so many different ways is what made the guitar interesting for him. A way to express himself with no boundaries.He lives in Germany at the moment,where his new version of The Maypole is based. Dennis Tobell- Under the stage name of Denny Romans, later to be known as Demian Bell. Principle writer and Lead Guitarist and Vocals. Born near Chicago, to a show business Father and Mother, grew up in Maryland, Ohio, and California. First started piano at age 7, then guitar at 13. First professional gig at 14, with 'The Rogues' at the Gold Horse Saloon in Folsom California. He was a member of 'The Moss' a Baltimore Blues band that won many competitions known as 'Battle of The Bands' at 15. He founded the 'Psychedelic Propellor' at 16, in Baltimore Md. Played with 'Van Morrison' and 'Moulty and the Barbarians' at 18 and 'Maypole' when 20, with Paul Welsh. Paul Welsh- Drummer and writer and co-founder with Dennis Tobell. Born in Frankfurt Germany, to a French mother and American father. Raised in Towson , Maryland. A brilliant student in History, Literature, Languages and music. His first love was music as he saw it, as a tremendous way to communicate with the masses. Playing drums since age 10, he first played with 'The Paupers', 'Daddy Warbucks'and then with 'Maypole' Paul commited suicide in 1988. Kenny Ross- Singer, songwriter. Born in Baltimore and grew up in the Govans area of Baltimore. Kenny was also a member of 'The Paupers' with Paul and Steve. Kenny passed away in May 2005. John Nickel- Bass Guitar was born in Baltimore, was from the Essex area of Baltimore, and played in many area bands before joining 'Maypole'. We could give a hoot about making a hit single and even though they tried to push us to do it. It was the music we felt and believed in. We weren't concerned with song lengths and snappy hook lines , we were searching for a whole new way to express ourselves.We played with power and conviction, inside of many new styles. Some of these things are universal. Genres are nonsense. Music is music, and you'd be amazed at all the ways there are to play it. Why limit yourself? That's a form of slavery." Demian and Paul had met in 1966 while both playing on the same bill together in different bands at a local Baltimore teen center. Demian in the "Psychedelic Propellor" and Paul in "The Paupers". They liked each others playing, became friends, and had many occasions to talk about music and to jam together. In late 1969 after Demian returned from Boston, they decided to form a new group. 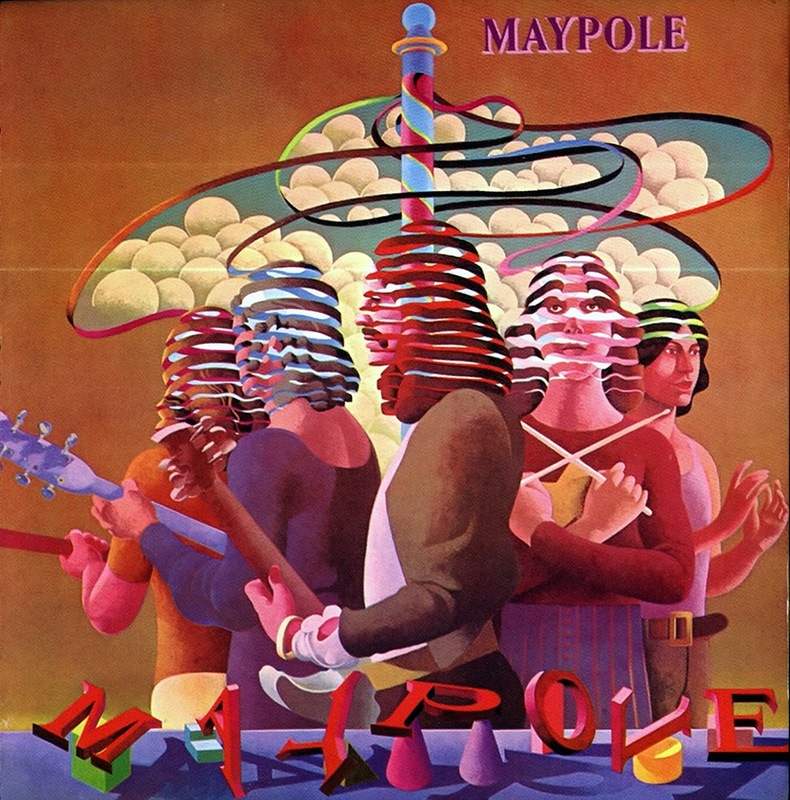 They would call it "Maypole" after the famous story by Nathaniel Hawthorne called the "Maypole of Merry-Mount" which describes how some Puritans went off into the woods to erect a Maypole and danced around it in complete violation of the rules of the day. They were arrested and punished for the crime of dancing and basically having a good time. They saw the parallel to the times they were living and the principle of freedom that it represented. After some session they fired their manager. Their new managers were London Records promo men who knew how to get airplay and did a great job. The band did dozens of interviews on the air and played concerts to try and promote an album that had no company behind it. because Colossus went bankrupt. Without the support of a solvent record company the record could go no farther. They did several TV shows in the Baltimore Washington area. The high points were, that they could push any button on the car radio and a "Maypole" song was playing at the same time in the Baltimore, Washington, and Virginia area. The review by legendary record-rater Bill Gavin, spoke of a "Great Band". "The American Led Zeppelin"as he called them. Dave Marsh of "Rolling Stone Magazine" spoke well of their record. They did some local and national TV shows.They toured with Bob Seeger, Nils Lofgren and Grin, Elephant's Memory,and several other acts. There was no one to distribute the album. It showed up in cut-out bins years later.But the music refused to die. It became a collectable. Showing up in record collecting guides throughout the 80's and 90's Finally reaching upwards of $250.00 usd per copy on EBay. Then we had a chance to re-issue the legal versions. In early 2006 it was released on Gear Fab on CD, and later in October 2006 on Anopheles on Clear Vinyl with the sound and artwork restored to better than original condition.